Untold Stories on stores everywhere!! USA and European days coming soon. Jartse Tuominen is not only an exceptionally talented guitarist, but also an ingenious composer and a dedicated producer with style and sophistication. With his unique touch he is able to give a soul to his guitar in many different ways, varying from rock to jazz. His fantastic acoustic playing brings different interpretations and smoother tones to the music. "I say Gary Moore and you know what I mean." -Lords of Metal, Netherlands (3/2016). Jartse travels between his two home countries; Finland & USA and has long-term professionals as band members both in USA and Europe. Jartse's phenomenal and expressive guitar playing has been noticed worldwide and he has gained a lot of respect not only among audiences but also among highly appreciated professional musicians and music journalists. Gibson Guitars and Mesa/Boogie amps endorse him. European music magazines have named him as one of the best guitarists in Europe, and he is claimed to be one of the premier guitar players in the world at the moment. "Master of Magnificent Melodies!" -Väylän Pyörre, Finland (3/2016). Jartse has released 5 albums of of his own and has worked on over 100 CDs as a musician, composer or producer. He has also made music for movies, TV-programs and commercials. 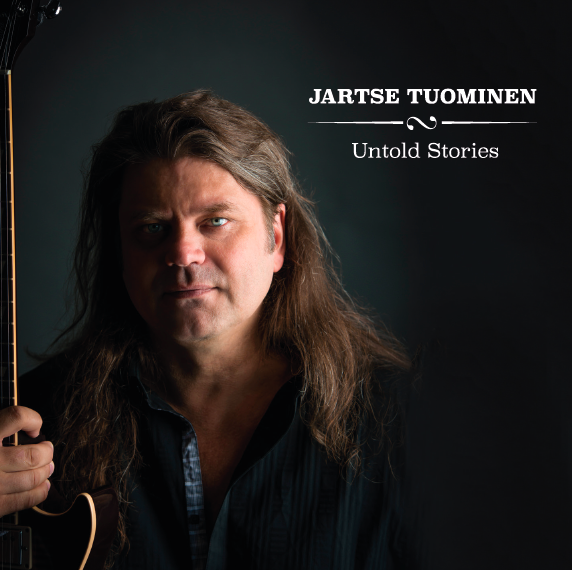 Jartse´s 5th solo album "Untold Stories" was released in over 20 countries on March 18th 2016. It was nominated for "The Album of the Month" by German Weltmusik Magazin. German Music News chose it for "The Album of the Day" right on the release date. Since then the album has been nominated for the "Album of the Week" twice in Netherlands. Two weeks #1 on Hit tracks top 100 in Netherlands. And it is on "Top albums of the year 2016" chart in Germany. We are really looking forward to enjoying more of his amazing guitar playing and brilliant compositions, his gift to the world.